A UK ticketholder who won a £34m jackpot in Friday's Euromillions draw has come forward to claim the prize. A £19.7m jackpot was shared by three tickets from the UK on 2 September. Friday's winning numbers were 5, 8, 14, 22, 32, and Lucky Stars 2 and 11. 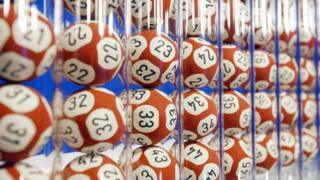 Tickets for Euromillions are sold in nine countries - the UK, Austria, Belgium, France, the Irish Republic, Luxembourg, Portugal, Spain and Switzerland - with ticket-holders in all each country trying to win a share of the same jackpot.